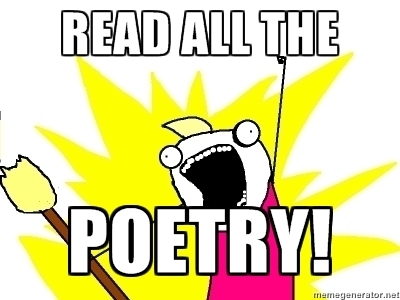 Tune in tomorrow for our Poetry Half Marathon! September 13 is a day to watch! Our own Virginia Carraway Stark has launched a poetry marathon, featuring scrolling twelve hour blocks of poetry every hour on the hour. Tune in September 13 for the poems posted by authors all over the net, and check in with StarkLight Press for our poetry anthology containing the half marathon’s productivity! If you are possessed by the poetic muse and would like to try writing twelve poems in as many hours, you can ask to join the facebook group Writing Challenge Fun- but hurry… I hear poetry approaching! ← … or is it?